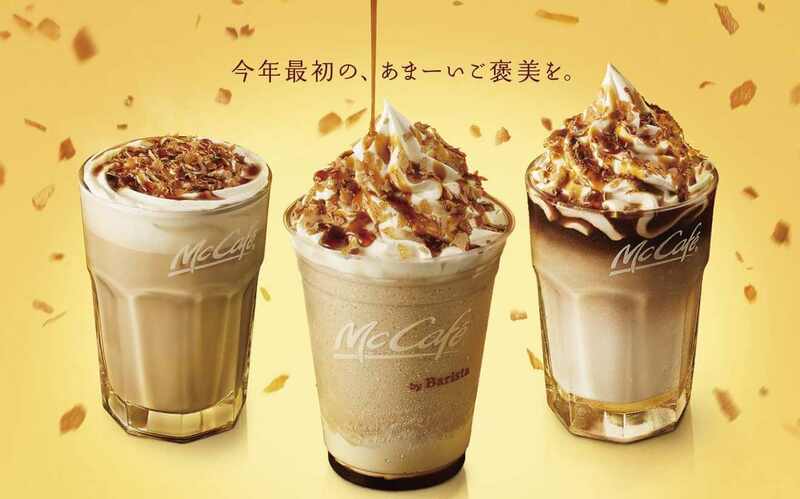 McDonald’s Japan has announced that it will sell three Crème Brûlée coffee drinks from January 16 at McCafé by Barista branches: the Crème Brûlée Frappe, Crème Brûlée Latte and Iced Crème Brûlée Latte. Opening the new year with these sweet treats, McCafé by Barista’s crème brûlée series of drinks first appeared in 2015 to huge success. This marks the first time the beverages have been sold in 2 years. The delightful Crème Brûlée Frappe contains a mix of caramel sauce, subtly sweet crème brûlée whipped cream and crème brûlée atop a shot of espresso. 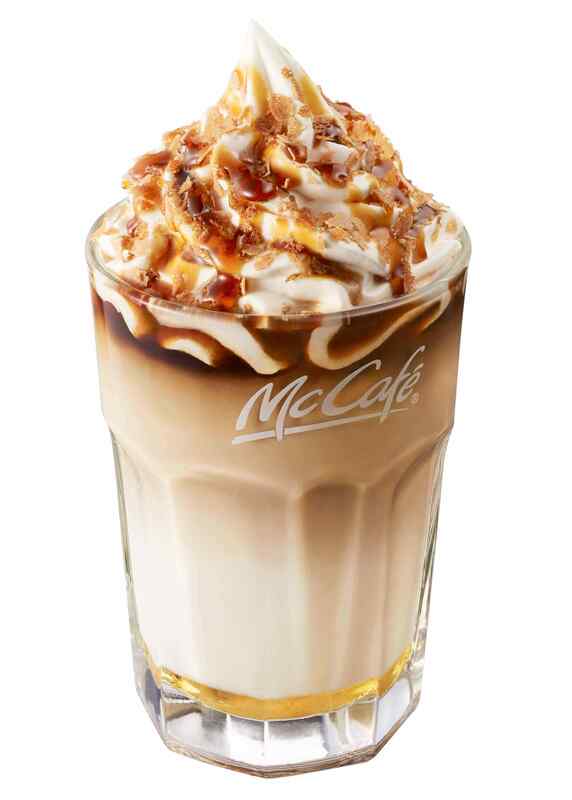 Topping the drink is more crème brûlée whipped cream, caramel sauce and crushed cookies. The cookies have been baked lightly which together with the whipped cream change the flavours of the cream’s sweetness and espresso’s richness on each sip. The Crème Brûlée Latte combines crème brûlée syrup with bitter espresso and fluffy foamed milk. Like the hot drink, the Iced Crème Brûlée Latte contains the crème brûlée syrup and espresso but is served with cold milk. 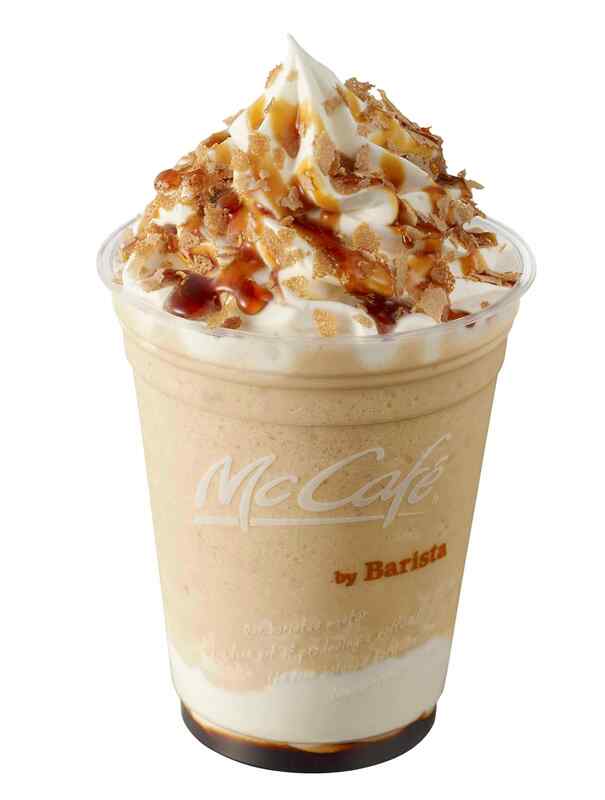 It’s topped with crushed cookies, crème brûlée flavoured whipped cream and caramel sauce. 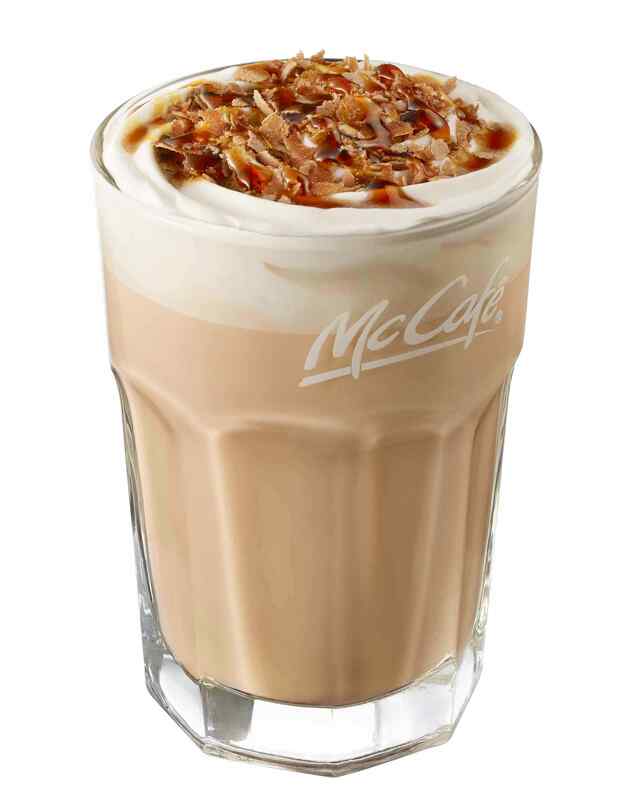 Welcome the New Year with a coffee break with McDonald’s Crème Brûlée series.